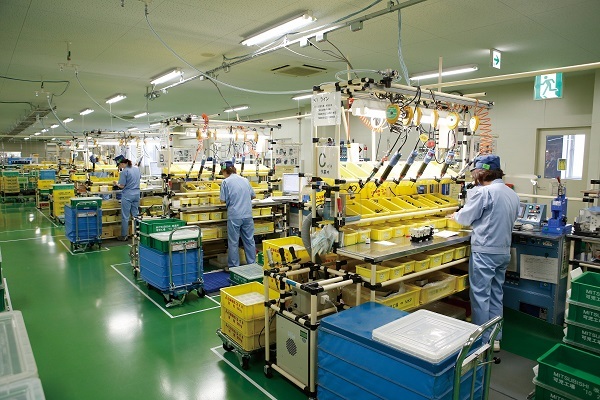 The application of e-Factory at Mitsubishi Electric’s Kani manufacturing facility, part of its Nagoya Works, Japan, has led to a number of hugely beneficial outcomes. For instance, by redesigning the process and reintegrating a human element where there was once 100 % automation, a single line that previously occupied 280sqm has been reduced to a cell of just 44.1sqm. This 84% reduction in space means that the productivity of each square metre of production hall had been increased through greater utilisation. The solution was to employ engineering know-how built up over many years and combine this with a vision of integrated manufacturing – known as the Mitsubishi Electric e-Factory concept. In tandem, existing technology and third-party relationships were utilised through the e-Factory Alliance, CLPA and other collaborative engineering groups. 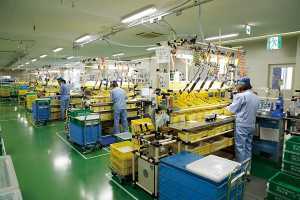 Put simply, the objective was to perfect the ‘art of manufacturing’ or, as it is known in Japan, ‘monozukuri’. linked. This factor is related to the first principles of IIoT or Industry 4.0. Studying existing processes, as well as the methodology, revealed that natural, normal, organic growth in the production process had inadvertently led to inefficiencies. 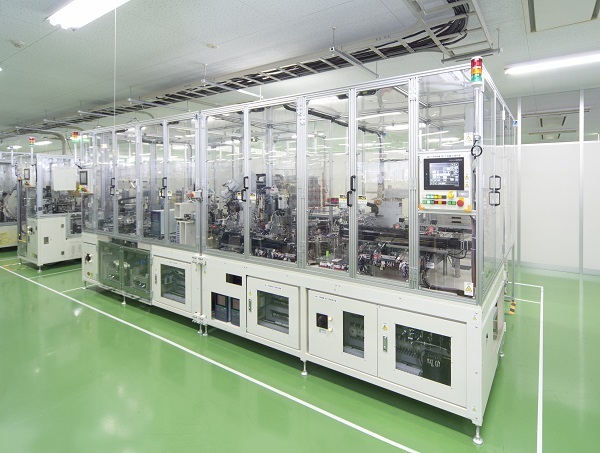 Resolving this issue at the Kani factory of Mitsubishi Electric led to a reevaluation of the need of 100% automated lines, which were not necessarily the most efficient. Restoring some human elements could potentially reduce manufacturing anomalies. The end result, much to the satisfaction of the Mitsubishi Electric team at the Kani factory, is effective optimisation of both machine and human resources, as well as the production process and space – a true productivity gain. While many in engineering are familiar with Japanese manufacturing mantras as Kaizen, Toyota’s 7 principles and Just In Time, few people outside Asia have experienced the e-Factory concept. However, as can be seen at the Kani factory, by learning more about Mitsubishi Electric e-Factory, manufacturers can achieve their own smart factory concepts – whether they are called Industry 4.0, IIoT or ‘Made in China 2025’.